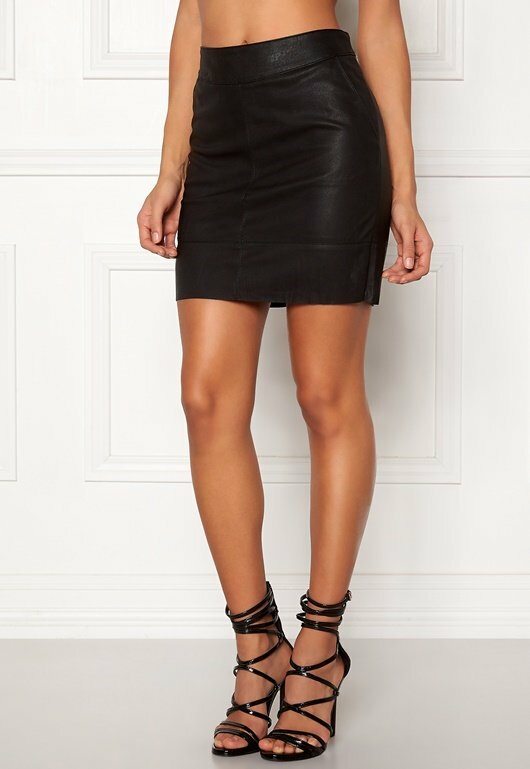 Gorgeous imitation leather skirt from ONLY. The skirt has a trendy and beautiful design that is perfect for both everyday and party wear. - Stretchy quality - Raw edges at the hem - Two front pockets - Closes using a zip at the back Center back length 44 cm, waist 74 cm, in size 36. The model is 176 cm tall and wears a size 36. Machine wash at 30 degrees.